Are your family photos and memories in boxes under your bed or in the basement? Are you unable to remember the last time you looked at them? If so, here are five simple steps to help take control of your printed and digital photos and bring your family memories back into your life! 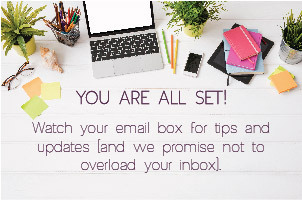 Printed: Bring together all your loose photos, albums, boxes and envelopes in one place so you know what you will be working with. Most likely you can get rid of the negatives. While professional photographers may gasp, negatives are only needed for photos you plan to print or enlarge. However, this can be done with professionally scanned photos as well. 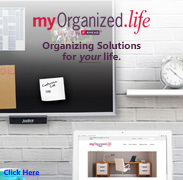 Digital: Migrate all of your digital photos from your smart phones, CD’s, jump drives. laptops, tablets, etc to one device, preferably a computer with a large screen and fast processor. Printed: Sort prints first by decade, then by theme or story. You may not know for sure if the photo was from Christmas 1971 or 1975, but actually it doesn’t really matter. After your photos are in decade piles, you can further refine the sort. I recommend using labeled index cards to help the process go smoothly. Digital: Create a master folder for each year on your laptop. 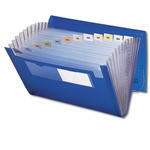 Inside the master folder create monthly folders using numbers (for example 1-January, 2-February) to keep them in chronological order. Within each monthly folder, create subfolders with accurate labels such as “Shannon’s cheer photos” or “Summer trip to the cape”. Look at every print and rate it. The Association of Personal Photo Organizers (appo.org) recommends the ABC method to figure out what to do with your photos. A. 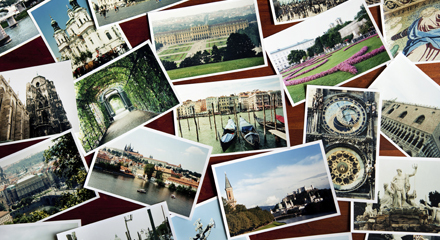 Your Best photos, display them, put them in a album and archive them. B. Photos you want to save should be stored in an acid-free box. Give away photos you no longer want or are duplicates. Printed: Your most precious photos eventually age over time. Colors shift, photos yellow and the paper becomes brittle. The ultimate goal is to slow down this process as much as possible by using acid free boxes such as the Legacy Box. In addition, create quality digital versions of all your “A” level photos. Find a scanning profession in your area by checking out the Association of Personal Organizers website (appo.org). Digital: Protect and save your precious digital photos in multiple ways. Copy all your photos to jump drives, CD’s or external hard drives, but remember that all of these hardware formats will need to be able to be read at sometime in the future. Store one copy in a fire safe container or in your safe deposit box. 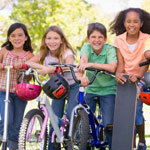 Supplement physical storage with on-line photo storage services such as Forever.com. Many other online storage companies offer free storage, but may require the right to use and reproduce your photos and compress them, which reduces photo quality. Check out the policies of the company you choose. Companies like Forever guarantee to store your digital files for you only in a high quality format and will transfer the files to new formats even as technology changes over the next century. Printed: Respect the photos you are keeping. While you are putting your photos in albums or boxes, carefully label them to help future generations identify family members. 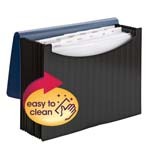 Watch the plastics used in albums. It’s important to use a plastic that is listed as Mylar D or Mellines 516. Another idea is to display photos on a table under glass or decoupage on decorative items. Share photos that others may enjoy more than you. Labeled and organized photos, in a photo book for example, can make a great gift! 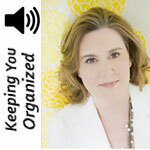 Watch or listen to Deb's podcast: Seven Steps to Organizing Your Photos. Deb’s more than 20 years of corporate training and efficiency experience, combined with her natural fervor for organization and time management, equip her with a keen sense for helping people change their lives for the better! She works with individuals, families and companies to enable them to get motivated, break the cycle of disorganization, change bad habits, and regain control for increased productivity and decreased stress.